What are the magnetic poles? Magnetic poles are the points where a dipping compass points straight up (south) or straight down (north) into the earth. This is different from the geographic poles, which are the points where the longitude lines converge at the tips of the southern and northern hemispheres. 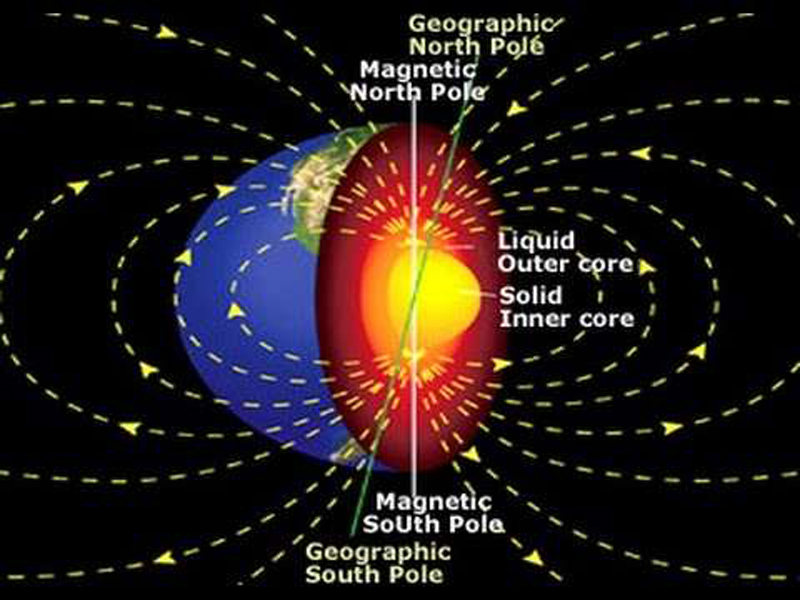 Scientists believe the magnetic field is the result of electrical currents inside the Earth's core. It is caused by the difference in the rotating speeds of the planet's solid iron inner core and molten iron outer core. Besides helping with navigation, the magnetic field also deflects solar winds, whose charged particles would otherwise strip away the ozone layer that protects our planet from the Sun's harmful ultraviolet rays. 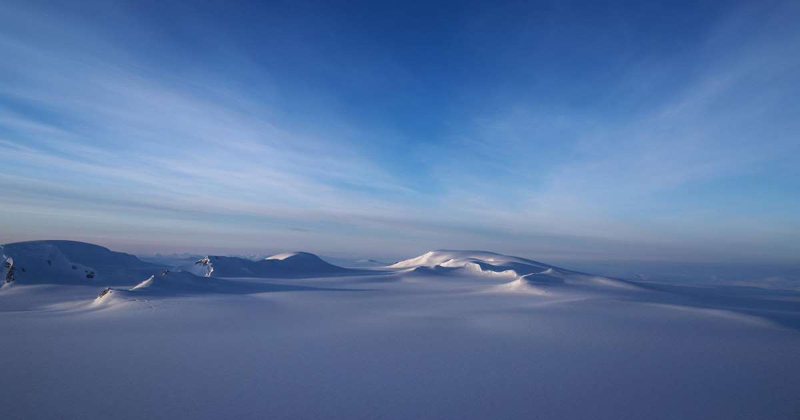 Researchers are not exactly sure what causes the poles to move around. Some theorize it may be the result of shifts in the inner core's rotating speed, which causes the temperature in the molten iron layer to rise or fall. They believe this creates electrical currents that push and pull at the magnetic field. Other researchers wonder if different currents, like those formed by magnetic minerals in Earth's crust and upper mantle, or those created by seawater, may also be contributing to the poles' movements. Why is it important to keep track of the poles' movements? Thanks to satellite-based global positioning systems (GPS), magnetic pole movements do not affect civil airplane and sea navigation. However, Arnaud Chulliat, a scientist at the University of Colorado in Boulder, Colorado and lead researcher for the newly updated WMM, says their exact locations are essential for US military navigation and parachute drops, NASA, the Federal Aviation Administration, and the U.S. Forest Service. The movements also impact compasses in smartphones and other electronic devices. Why was the WMM model inaccurate? The magnetic north pole's mobility was first discovered in 1600 by English mathematician Henry Gellibrand, who calculated that the pole had moved closer to the geographic pole by hundreds of miles over fifty years. Since 1860, however, the all-important marker has been drifting away from the North Pole towards Siberia. The 1,500-mile journey has been conducted at different speeds. In the mid-1900s, the pole moved an average of 7 miles a year. However, in the 1980s, the pace picked up substantially with the pole moving almost 35 miles annually by the year 2000. It then slowed down again and by 2015, the last time the WMM scientists updated their model, the magnetic north pole was moving about 30 miles a year. 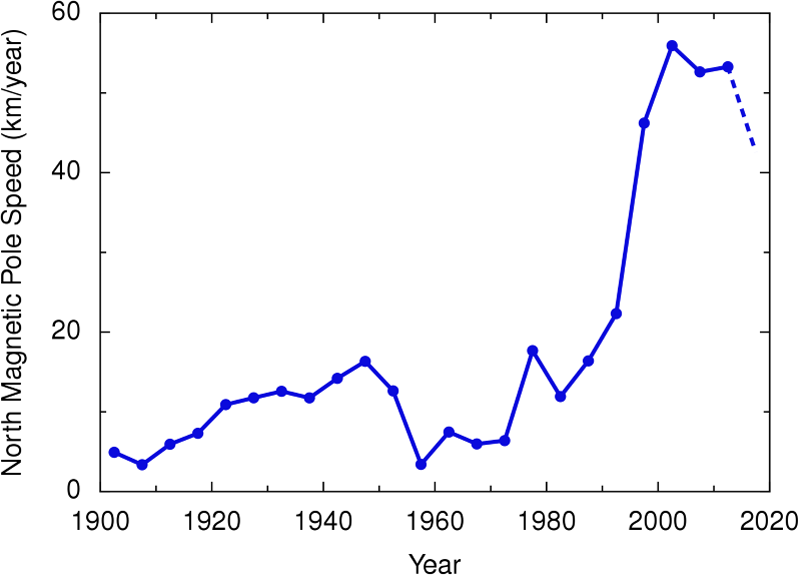 Based on previous data, the scientists assumed the slowdown would continue, at least until the model was updated in late 2019. However, earlier this year, they realized the magnetic north pole had suddenly picked up its pace and moved 34 miles in 2018, forcing the unscheduled adjustment to their model. The researchers, however, are confident there will be no more surprises until the official five-year update is released at the end of 2019. What does the magnetic north pole's sudden rapid movement signify? While some scientists say that the sudden pick up in pace is merely due to the natural fluctuations of the electrical currents in the Earth's core, others think it is the start of the magnetic pole reversal — where magnetic south and north switch. While scientists are unaware of the cause of these reversals, they have historically occurred every 250,000 years. Given that the last one was over 780,000 years ago, chances of it happening again are not too far-fetched. Unfortunately, those of you hoping to see your compass needles point in the opposite direction are out of luck, since full reversals take thousands of years!